1 I will exalt you, O God my King, and bless your Name for ever and ever. 2 Every day will I bless you and praise your Name for ever and ever. 3 Great is the LORD and greatly to be praised; there is no end to his greatness. 4 One generation shall praise your works to another and shall declare your power. 5 I will ponder the glorious splendor of your majesty and all your marvelous works. 6 They shall speak of the might of your wondrous acts, and I will tell of your greatness. 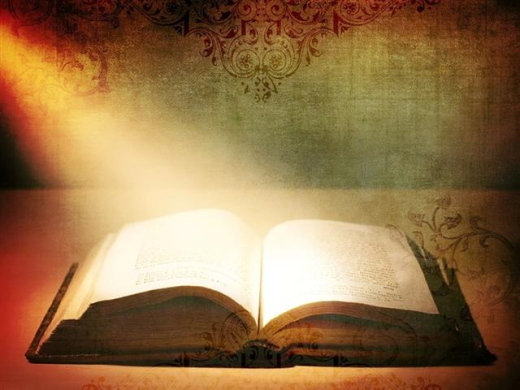 7 They shall publish the remembrance of your great goodness; they shall sing of your righteous deeds. When God saw what they did, how they turned from their evil ways, God changed his mind about the calamity that he had said he would bring upon them; and he did not do it. But this was very displeasing to Jonah, and he became angry. 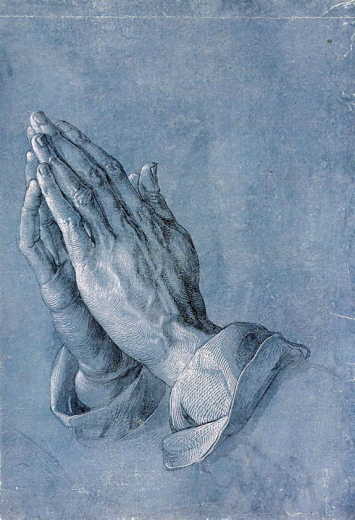 He prayed to the LORD and said, "O LORD! Is not this what I said while I was still in my own country? That is why I fled to Tarshish at the beginning; for I knew that you are a gracious God and merciful, slow to anger, and abounding in steadfast love, and ready to relent from punishing. And now, O LORD, please take my life from me, for it is better for me to die than to live." And the LORD said, "Is it right for you to be angry?" Then Jonah went out of the city and sat down east of the city, and made a booth for himself there. He sat under it in the shade, waiting to see what would become of the city. The LORD God appointed a bush, and made it come up over Jonah, to give shade over his head, to save him from his discomfort; so Jonah was very happy about the bush. But when dawn came up the next day, God appointed a worm that attacked the bush, so that it withered. When the sun rose, God prepared a sultry east wind, and the sun beat down on the head of Jonah so that he was faint and asked that he might die. He said, "It is better for me to die than to live." But God said to Jonah, "Is it right for you to be angry about the bush?" And he said, "Yes, angry enough to die." Then the LORD said, "You are concerned about the bush, for which you did not labor and which you did not grow; it came into being in a night and perished in a night. And should I not be concerned about Nineveh, that great city, in which there are more than a hundred and twenty thousand persons who do not know their right hand from their left, and also many animals?" For to me, living is Christ and dying is gain. If I am to live in the flesh, that means fruitful labor for me; and I do not know which I prefer. I am hard pressed between the two: my desire is to depart and be with Christ, for that is far better; but to remain in the flesh is more necessary for you. Since I am convinced of this, I know that I will remain and continue with all of you for your progress and joy in faith, so that I may share abundantly in your boasting in Christ Jesus when I come to you again. Only, live your life in a manner worthy of the gospel of Christ, so that, whether I come and see you or am absent and hear about you, I will know that you are standing firm in one spirit, striving side by side with one mind for the faith of the gospel, and are in no way intimidated by your opponents. For them this is evidence of their destruction, but of your salvation. And this is God's doing. For he has graciously granted you the privilege not only of believing in Christ, but of suffering for him as well-- since you are having the same struggle that you saw I had and now hear that I still have. The whole congregation of the Israelites complained against Moses and Aaron in the wilderness. The Israelites said to them, "If only we had died by the hand of the LORD in the land of Egypt, when we sat by the fleshpots and ate our fill of bread; for you have brought us out into this wilderness to kill this whole assembly with hunger." Then the LORD said to Moses, "I am going to rain bread from heaven for you, and each day the people shall go out and gather enough for that day. In that way I will test them, whether they will follow my instruction or not. 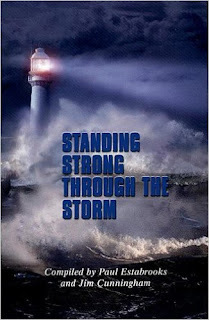 On the sixth day, when they prepare what they bring in, it will be twice as much as they gather on other days." So Moses and Aaron said to all the Israelites, "In the evening you shall know that it was the LORD who brought you out of the land of Egypt, and in the morning you shall see the glory of the LORD, because he has heard your complaining against the LORD. For what are we, that you complain against us?" And Moses said, "When the LORD gives you meat to eat in the evening and your fill of bread in the morning, because the LORD has heard the complaining that you utter against him-- what are we? Your complaining is not against us but against the LORD." Then Moses said to Aaron, "Say to the whole congregation of the Israelites, 'Draw near to the LORD, for he has heard your complaining.'" And as Aaron spoke to the whole congregation of the Israelites, they looked toward the wilderness, and the glory of the LORD appeared in the cloud. The LORD spoke to Moses and said, "I have heard the complaining of the Israelites; say to them, 'At twilight you shall eat meat, and in the morning you shall have your fill of bread; then you shall know that I am the LORD your God.'" In the evening quails came up and covered the camp; and in the morning there was a layer of dew around the camp. When the layer of dew lifted, there on the surface of the wilderness was a fine flaky substance, as fine as frost on the ground. When the Israelites saw it, they said to one another, "What is it?" For they did not know what it was. Moses said to them, "It is the bread that the LORD has given you to eat. O Lord, who hast mercy upon all, take away from me my sins, and mercifully kindle in me the fire of thy Holy Spirit. Take away from me the heart of stone, and give me a heart of flesh, a heart to love and adore Thee, a heart to delight in Thee, to follow and enjoy Thee, for Christ's sake, Amen. Irish Philharmonic Orchestra and Chorus. "For the kingdom of heaven is like unto a man that is an householder, which went out early in the morning to hire labourers into his vineyard. 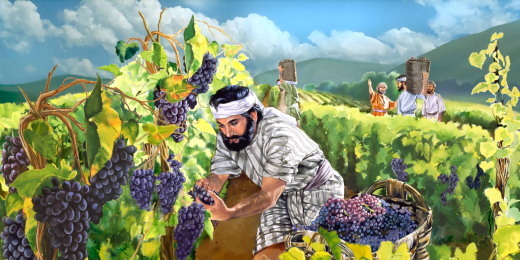 2 And when he had agreed with the labourers for a penny a day, he sent them into his vineyard. 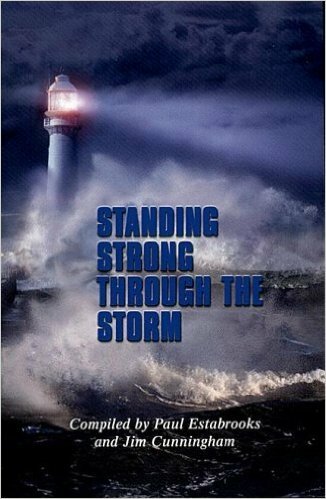 3 And he went out about the third hour, and saw others standing idle in the marketplace, 4 and said unto them; Go ye also into the vineyard, and whatsoever is right I will give you. And they went their way. 5 Again he went out about the sixth and ninth hour, and did likewise. 6 And about the eleventh hour he went out, and found others standing idle, and saith unto them, Why stand ye here all the day idle? 7 They say unto him, Because no man hath hired us. He saith unto them, Go ye also into the vineyard; and whatsoever is right, that shall ye receive. 8 So when even was come, the lord of the vineyard saith unto his steward, Call the labourers, and give them their hire, beginning from the last unto the first. 9 And when they came that were hired about the eleventh hour, they received every man a penny. 10 But when the first came, they supposed that they should have received more; and they likewise received every man a penny. 11 And when they had received it, they murmured against the goodman of the house, 12 saying, These last have wrought but one hour, and thou hast made them equal unto us, which have borne the burden and heat of the day. 13 But he answered one of them, and said, Friend, I do thee no wrong: didst not thou agree with me for a penny? 14 Take that thine is, and go thy way: I will give unto this last, even as unto thee. 15 Is it not lawful for me to do what I will with mine own? Is thine eye evil, because I am good? 16 So the last shall be first, and the first last: for many be called, but few chosen." 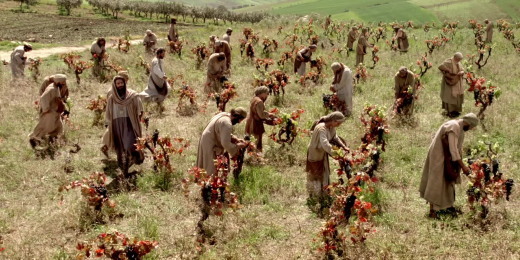 "The Labourers in the Vineyard"
Jesus Calls Ministries, U. K.
This parable is part of Jesus’ response to Peter’s question: ‘Behold, we have forsaken all, and followed thee; what shall we have therefore?’ (Matthew 19:27). This challenging part of the reply is framed with a formula concerning the ‘first’ and the ‘last’ (Matthew 19:30), which is inverted at the end of the parable (Matthew 20:16). Since we are dealing with “the kingdom of heaven” (Matthew 20:1), we need to think our way into the cultural setting of the parable, eradicating worldly presuppositions along the way. First of all, the employer went to the market place to hire daily labourers. This was the usual custom. Straight away we are made aware that it is God who comes seeking us, rather than vice versa: but it helps if we situate ourselves in the place where we know God will most likely reveal Himself. Secondly, the employer came with the express intention of hiring labourers. We see the dignity of work (cf. Matthew 20:7), and God’s grace in providing it (Genesis 2:15). Thirdly, as we might expect, the employer contracted with his employees to pay a specific amount (Matthew 20:2). That amount was enough for each to purchase his daily meal. It may have been no more than the national minimum wage, or the equivalent thereof: but it was sufficient, though not excessive (Exodus 16:14-18). Furthermore, BOTH PARTIES AGREED TO THE AMOUNT. So far so good: but as the parable proceeds it becomes a little strange to our ears. There is nothing wrong with the employer seeking out other workers as the day proceeds (Matthew 20:3-7): even if it is for no other reason than to rescue them from the indignity of being idle (Matthew 20:6). And each would receive, “whatever is right” (Matthew 20:4; Matthew 20:7). I don’t know whether it was normal for the last to be paid first, but certainly this is what Jesus would have the employer doing here (Matthew 20:8). Remember we are talking about the Kingdom of Heaven (Matthew 20:1): which though the world views it as topsy-turvy (Acts 17:6), is in fact setting things the right way up! Imagine the surprise when the employer gave to each group of labourers the full day’s wage! A pleasant surprise for some, but a source of increasing alarm to the first-contracted workers. Jesus certainly wasn’t teaching a lesson about the economy and diplomacy of trade relations! The angry attitude of the first-in-the-field (Matthew 20:11) reminds us of the jealousy of the Prodigal’s brother (Luke 15:29-30). Both Peter and Paul teach us that, ‘God is no respecter of persons’ (Acts 10:34; Romans 2:11). There are eleventh hour converts, and they are just as eligible as recipients of God’s grace as those who fancy that they have personally “borne the burden and the heat of the day” (Matthew 20:12). The complaint was: “you have made them equal with us” (Matthew 20:12). However, since the first-comers RECEIVED THEIR FULL CONTRACTED AMOUNT (Matthew 20:13), why was anyone complaining? Would they rather that these others were sent home without sufficient for their daily meal? The Lord is in no doubt: “I will give unto this last, even as unto you… Is your eye evil because I am good?” (Matthew 20:14-15). We pray day by day, ‘Give us (plural) this day our (plural) daily bread’ (Matthew 6:11). Whether viewed in relation to our physical needs, or to our spiritual needs, it is a prayer for us all. We should not begrudge those who receive the answer to this prayer, though late in the day. We must not envy the new converts their blessings. Scripture taken from the Holy Bible, Authorized (King James) Version (AKJV), KJV reproduced by permission of Cambridge University Press, the Crown’s patentee in the UK. Sermon shared by Christopher Holdsworth on Jul 30, 2014. LHM Daily Devotion - September 24, 2017 "Jesus Became Human"
A man sits down in a restaurant, orders a glass of wine, takes a sip, and then tosses the remainder into the waiter's face. Before the waiter can react the man begins weeping: "I am so sorry," he says, "I keep doing that to waiters. I cannot tell you how embarrassing it is, how ashamed I am about having a compulsion like this." The waiter is understanding and sympathetic. He suggests that the man see a psychologist about his problem. The man agrees, thanks the waiter, and leaves. Six months later, the man returns. "How are you doing?" the waiter asks as he delivers a glass of wine to the man. "Great!" the man says, "I have been seeing a doctor twice a week." He then takes a sip of wine and throws the remainder into the waiter's face. "Well it doesn't seem that doctor's doing you any good!" the waiter says. "Oh, no, on the contrary," the man says, "he has done me a world of good." "But you just threw a glass of wine in my face again!" "Yes," the man says, "but I don't feel ashamed about it anymore." Have you ever been ashamed? Shame grips you in your conscience and freezes you in a state of disgrace. Shame empties you of esteem and leaves you humiliated. 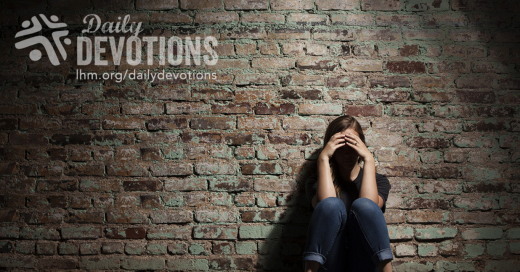 Would you not do just about anything to avoid being ashamed? Is it not amazing that Jesus Christ chose to be ashamed in order to love people? The apostle Paul describes the humility of Jesus Christ in Philippians 2:5-11. In the form of poetry, the apostle Paul deals with two parts of the person and life of Jesus Christ. Paul affirms that (1) Jesus Christ is fully God, and (2) that Jesus Christ is fully human. Paul does this to emphasize Jesus' love for people -- that Jesus chose utter, absolute, sheer humiliation when, as true God, He became true Man. When I feel insignificant, unimportant, trivial, forgotten, in Jesus the Son of God there is a message that my needs are not forgotten. I am significant to Jesus. I have a place in the eternal plan of God. When I feel ashamed, in Jesus, the Son of God who became human, I have a God who identifies with me, a Savior who came precisely because I am inadequate and guilty of sin. To Jesus Christ, you are significant. With Jesus Christ, you have a place in the eternal plan of God. THE PRAYER: Dear Lord, I give thanks that Jesus has done all that was necessary to win my salvation. Grant that my life may be one of repentance of my sin and thanksgiving for Your great love and grace. This I pray in the Name of Jesus Christ. Amen. Biography of Author: Today's international devotion was written by Pastor Kevin Wendt of Concordia Lutheran Church, Fort Wayne, Indiana. He was part of a team that was sent to Thailand for tsunami boat building. Lutheran Hour Ministries-Thailand focuses on sharing the Gospel and making contacts with local people through the internet, Gospel text messaging, various community radio programs, evangelism training, and evangelistic outreach programs. Bible Correspondence Courses (BCC), music CDs, and print materials are also used to encourage and help strengthen the faith of Thai Christians. The staff also conducts special children's activities and does presentations in many government schools. In this country of nearly 69 million people, LHM-Thailand is known in-country as Journey into Light. It was established in 1991 in Bangkok where it has its ministry center today. It broadcasts three different 25-minute radio programs and follows up with listeners who respond for assistance or more information; it uses Equipping the Saints (ETS) for evangelism training. Through "listener gatherings," it brings people together and helps build a sense of community. Relationships with school children and educators are established through presentations delivered at public schools. Staff members and volunteers also connect with people through music, camp-style activities, sidewalk events held outside the ministry center for neighbors and passersby, and by teaching about Christianity and culture.